Stephane Delourme spent his childhood between Brittany and Paris and developed a love for cooking at a young age inspired by his uncle’s travels around the world, returning with new dishes and stories from his adventures. Against his father’s wishes, Stephane started an apprenticeship at the age of 16 at two Michelin starred Sully D’ Auteuil, before moving on to Le Vieux Berlin which specialised in game. His keen interest to learn a new language led him to England in 1989 where he worked in London’s Roof Restaurant at the Hilton on Park Lane. Stephane was also instrumental in the opening of some of London’s most distinguished restaurants, working alongside leading chefs of the time including Michael Croft at Mirabelle and Martin Webb at Quaglino’s. In 1994, Stephane returned to France where he worked at Michelin-starred restaurant Prunier in Paris for two years. His career has taken him around the globe on the world’s most famous cruise liner, the QE2, as well as to Dublin where he worked with Patrick Guilbaud in his self-named two Michelin-starred restaurant. After years of travelling around the world, Stephane and his wife made the decision to move to Cornwall to settle down. 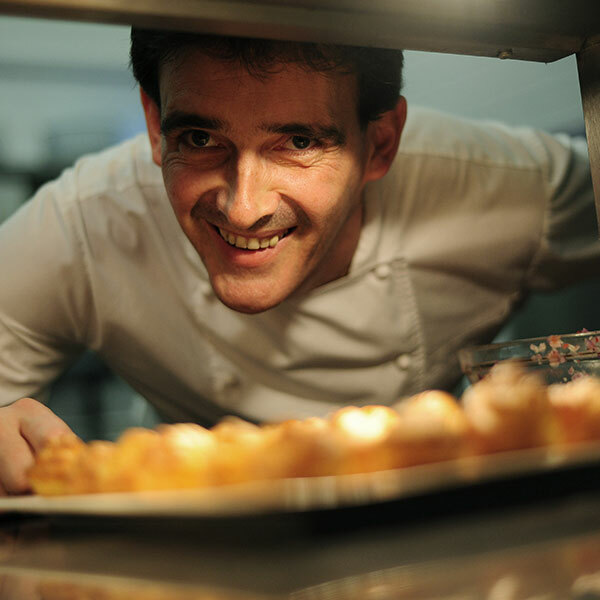 After just 6 months working with Rick Stein, Stephane was promoted to head chef at The Seafood Restaurant where he has remained for over 16 years. Working closely with Rick, Stephane helps to develop new menus and leads the restaurant team which has grown from 8 to 30 in the last decade. His passion for cooking is matched by a love of the fresh Cornish produce that is available to him, as well as the great local suppliers. Stephane is a keen marathon runner and ran seven in one summer in 2014 to raise money for local charities. When not in the kitchen he can be found relaxing in St. Issey with his wife and three daughters.